Jacques Cloarec, a Breton as his surname shows, was born at Brest in 1938 under the sign of Pisces. He started his working life as a teacher in Brittany where he took great interest in Celtic folklore and organised several groups of dancers and musicians. In 1960, he went to teach in Paris and subsequently took part, without enthusiasm, in the Algerian war. In 1962 he met Alain Daniélou, who was then setting up the International Institute for Comparative Music Studies in Berlin. He lived in West Berlin for 15 years, followed by five years in Venice, where Alain Daniélou opened a branch of the Institute. His first job at the Institute was to classify and catalogue an important collection of photographs which Alain Daniélou and Raymond Burnier, the Swiss photographer and member of the Indian archaeological service, the friend with whom Daniélou lived for more than 18 years in a mansion on the banks of the Ganges at Benares, had collected during their time in India. Thus it was that, without ever having visited India, Jacques Cloarec became familiar with the architecture of most of the great mediaeval temples, particularly those of Khajuraho Bhuvaneshwar and Konarak, as well as a dozen lesser known ones, such as Aihole, Ossian, Sirpur, Deogarh, Chandpur, Amarkantak, Parasnath and Abu, Sarnath and Sanchi, and so on. Viewing these photos, he could, in his mind, visit the whole of India, since Burnier and Daniélou had brought back documents from Kulu, Malabar, Almora and Nagaland. He also accompanied groups of classical musicians invited by Alain Daniélou on tours in Europe, including the Dagar brothers, Sharan Rani, Pattadmal, Lakshmi Shankar, as well as groups of dancers, the Kathakhali troupe of Kerala Kalamandalam, Yamini Krishnamurti, etc., thereby becoming familiar with both Carnatic and Hindustani music and dance. He helped organise Indian music and dance festivals in various towns throughout Europe, becoming the Secretary of an association of directors of the most important European festivals, in order to further Alain Daniélou’s desire to admit Indian classical musicians and dancers to the same great events as Western musicians and dancers. From 1968 to 1980, he was the Technical Director (with Alain Daniélou as Artistic Director) of UNESCO’s prestigious traditional music record collection, a series now reissued in CD format, which gave him the chance to record a great number of musicians. From his travels, he has gathered an important photographic collection of landscapes, architecture and, above all, of dancers and musicians of the East in general, and of India in particular, contributing material to numerous musical encyclopaedias and reviews and as jacket illustrations of many records of traditional music. In 1980, Alain Daniélou decided to retire to the country near Rome. Jacques Cloarec abandoned his post as general secretary of both the Berlin and Venice institutes to become Alain Daniélou’s collaborator in his work as a writer. 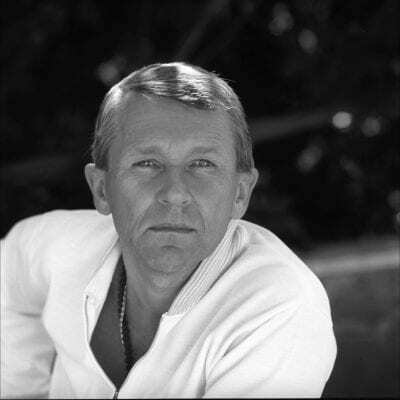 During this period, Alain Daniélou wrote many of the works for which he is famous, and Jacques Cloarec acted as Alain Daniélou’s literary agent and was responsible for the publishing of these works. Illness then overtook Alain Daniélou, and Jacques Cloarec stayed by his side until Alain’s death in January 1994. During his long stay in Italy, Jacques Cloarec has also taken an interest in the musical aspects of the Italian theatre. In this connexion, he has, in particular, photographed the productions of the composer Sylvano Bussotti, at Palermo, Florence, Verona, Rome, etc. Starting from 1985, the great choreographer Maurice Béjart regularly invited him to follow his productions, including Le Martyre de Saint Sebastian and Kabuki at Milan’s La Scala, both dominated by Eric Vu An, La Métamorphose des Dieux in Brussels, dedicated to Malraux, and more recently, 1789 et Nous, a production of the Béjart Ballet Lausanne at the Grand Palais in Paris. A member of the Paris Salon d’Automne, Jacques Cloarec has exhibited his photographic work there each year since 1982. In 1984, at the Festival of Genazzano, near Rome, he exhibited his Hommage à Sylvano Bussotti, a show exhibited again at L’Aquila (Italy) in August 1987, and at the Palazzo Medici-Riccardi in Florence in May 1988 for the Maggio Fiorentino. His first major retrospective exhibition took place at the Galerie Régine Lussan in Paris in November 1986, in the context of the prestigious ‘Month of Photography’, under the title L’Opera à Nu, Entre Corps et Décors. The Paris Salon d’Automne paid him tribute in November 1988, with Images-Grimages, Les Maquillages de Théatre. Since the death of Alain Daniélou, Jacques Cloarec, as his literary executor, is doing his best to ensure that Daniélou’s work continues to be available to those seeking a deeper understanding of orthodox Hinduism and its extreme tolerance, and in particular some forms of Shaivism, as well as to those seeking to understand the world around us. He is busy classifying and cataloguing the enormous quantity of documentation left by Alain Daniélou, collaborating with the Musée de l’Elysée at Lausanne with regard to the photographic material (over 8,000 negatives), and – for the texts – with the Cini Foundation in Venice, to which Alain Daniélou bequeathed his considerable library containing a certain number of unpublished manuscripts on Indian music. He has also collaborated with UNESCO and the International Music Council over the reissue of the record collections; has brought to completion the work of two French specialists on a new musical instrument based on the theories of Alain Daniélou and is also expediting the reissue and translation of Alain Daniélou’s works, including the musical scores composed by Alain Daniélou for the dances he performed in the ‘thirties. The several commemorations of Alain Daniélou involved the preparation of two exhibitions for Venice in March 1995 (Living in India, an exhibition of Alain Daniélou’s photos taken during the ‘forties, and an exhibition of souvenirs, including letters from Tagore, Indira Gandhi, etc. ), a show of Daniélou’s drawings illustrating a world tour in 1936, and an exhibition of water-colours in Paris. 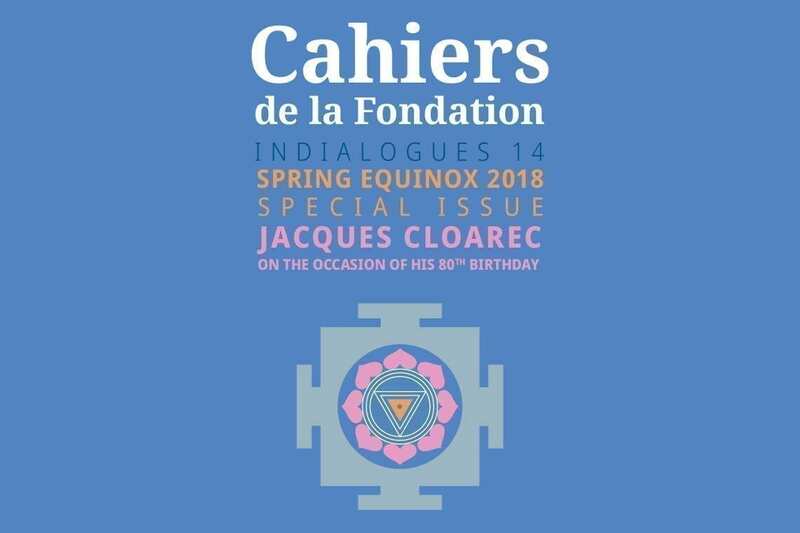 For over thirty years the collaborator and śiṣya of Alain Daniélou, and imbued with Hindu philosophy, culture and religion, Jacques Cloarec now devotes himself wholeheartedly to spreading the concepts which his guru instilled in him. After the death of Alain Daniélou, the Harsharan Foundation was given a more durable perspective, becoming FIND, a non-profit cultural foundation recognised by Italy where it is situated and by Switzerland where its deed of incorporation is filed. Its Advisory Board and Scientific Council include eminent artists and personalities from both Europe and India. FIND’s achievements comprehend a series of dance events and Indian Classical Music concerts as well as a biographical documentary on Alain Daniélou, “Into the Labyrinth”, by the director of FIND’s Artistic Dialogue, Riccardo Biadene, and various international seminars, workshops and publications as well as the restructuring of the scholarship programme and the creation of an online review by FIND’s director of Research and Intellectual Dialogue, Adrián Navigante. In addition to that, the publication of 10 works by Alain Daniélou, the setting up of 3 Internet sites and promotion of the “Semantic”, and the microtonal instrument incorporating Alain Daniélou’s theories in this field are worthy of being mentioned. Jacques Cloarec finally managed to visit India and, fascinated by the Subcontinent, has travelled there about ten times, visiting numerous artists, the dance schools of Kerala Kalamandalam, and of Kalakshetra at Chennai. He has also travelled to Japan and Bali (exhibition of Burnier’s photos), which has allowed him to extend the Foundation’s iconographic archives.